It’s finally summer! 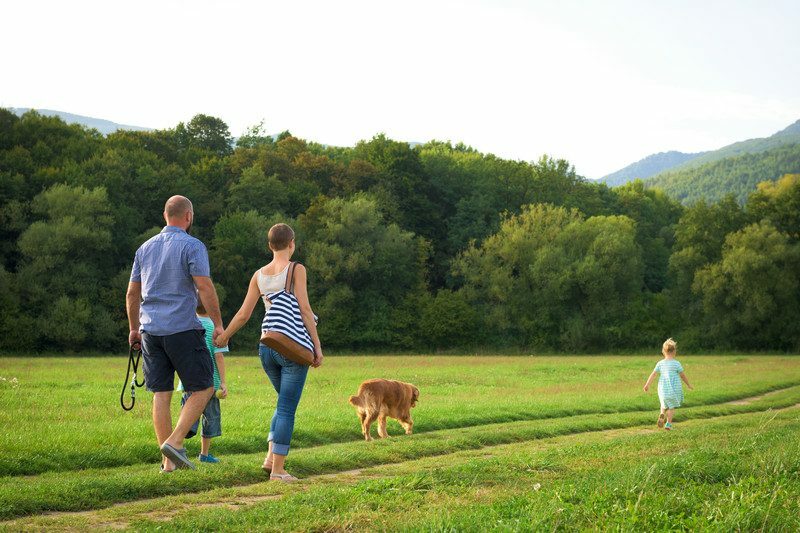 Take advantage of the good weather and enjoy all the exciting fun that summertime has to offer. You’ll want to take your furry friend along on your adventures. 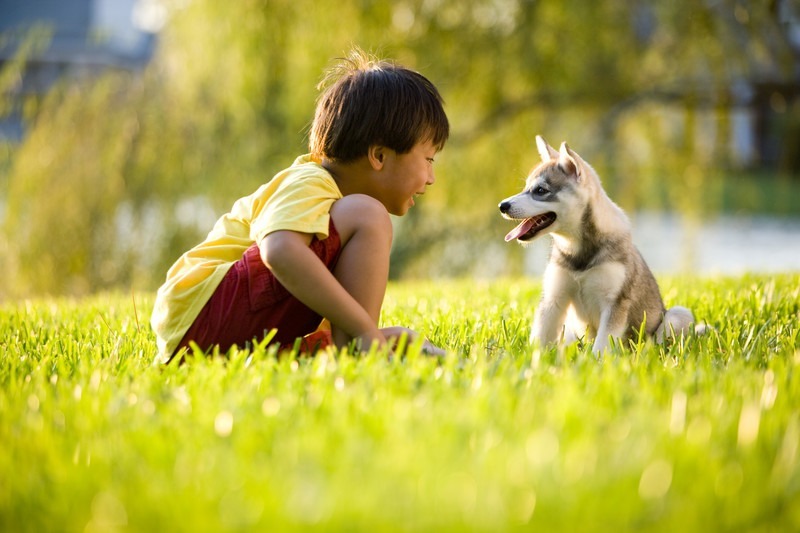 Your dog may enjoy interacting with other pets and people. 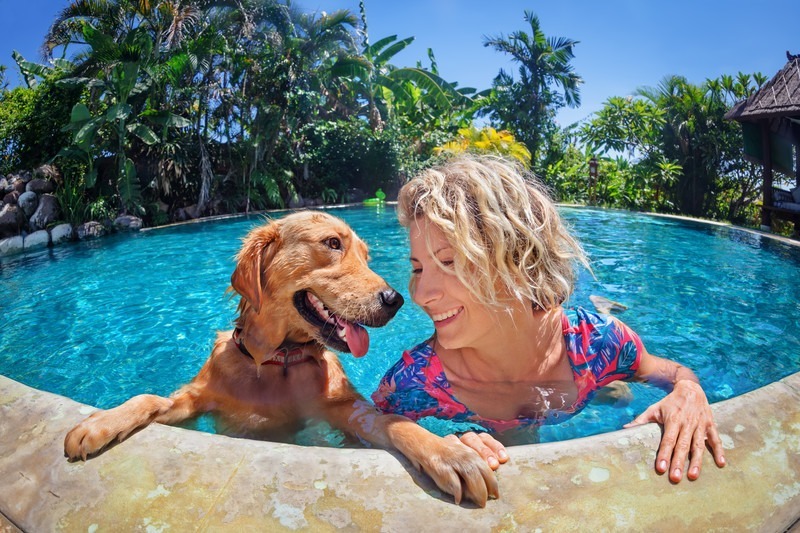 Enjoy yourselves at your local dog parks, outdoor festivals, and pool parties. Take time to have fun together and be sure to treat your favorite pooch to something new this summer – Twistedz dog chews! Developed by the folks at Pet Factory, Twistedz are a delicious, new summertime treat. Throw a few in your freezer for a cool Twistedz summertime treat. This summer, take time to have fun together and treat your pooch to NEW delicious, natural Twistedz dog chews. Twistedz dog chews are the fun Natural Treat pet parents will love! Brought to you by Pet Factory, the trusted name in pet products, Twistedz are made from quality, all-natural American beefhide. A twist of real meat around an American beefhide core will have your furry friend begging for more. Pet parents appreciate a clean, natural alternative to manufactured pet treats. Natural products are best for dogs and the majority of pet parents prefer them. Twistedz dog chews are all-natural and 99% digestible. They contain no hormones, preservatives, or additives. During the summer, we try to eat healthier and focus on serving natural foods. Pet parents can apply this same focused summer foods strategy to their dog’s diet – natural foods for natural dogs! Twistedz are the perfect summer treat. They include NO hormones, added dyes, salt, sugar, preservatives, fillers, GMOs, glues, corn, wheat, or soy. Also, we make Twistedz in Global Food Safety Initiative-certified, food-quality manufacturing facilities. Your dog will go wild for delicious, natural Twistedz dog chews! Look for delicious, 99% digestible Twistedz dog chews at your local or national pet retailer. In the summer, we eat healthier & focus on serving natural foods. Twistedz dog chews are the perfect summer treat. Dogs need to chew – it’s as simple as that. Chewing is a natural activity that benefits your dog’s dental health. Pet professionals recommend offering quality dog chews for maximum dental health benefits. Dogs that actively chew have less tartar and plaque build-up. Active chewing results in a healthier mouth and happier pup. Chewing also keeps your dog’s jaws strong. Dog chews can also serve as a reward and as a distraction from undesirable activities and damage. Pets go crazy for natural beefhide chews. Be prepared this summer by keeping plenty of Pet Factory dog chews on hand. Our thicker, longer lasting chews provide your dog with maximum benefit, while giving you higher value for your budget. Twistedz dog chews are even more summer fun – two taste treats in one delicious twisted chew! Pets go crazy for natural beefhide chews. Be prepared this summer by keeping plenty of Pet Factory dog chews on hand. Pet Factory Twistedz dog chews are a BRAND NEW natural product. Twistedz dog chews offer a unique combination of flavors and textures your dog will love. The wacky combination of beef and chicken or beef and more beef will have your pet begging for more. Try them today – Twistedz will get their tails wagging! Try a variety of fun flavors for all tastes, including beef, chicken, and peanut butter flavored chews. Will you be attending SuperZoo this month in Las Vegas? Be sure to stop by and see us – Find Pet Factory at Booth #4265! This summer, check out Twistedz, our NEW, all-natural combo dog chew! 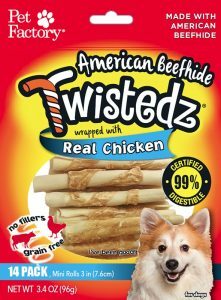 Twistedz dog chews are 99% digestible and made from American Beefhide and real Chicken or Beef meat. Dogs love the twisted shape and unique flavor combinations – it’s the taste and texture dogs can’t resist.